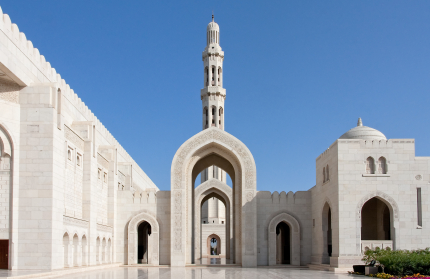 Perfect for a four of five day vacation in its own right, Oman is also reachable by drive, air, or cruise from Dubai. Take your time and enjoy the ride. Before we explore in detail the three ways of getting to Oman from Dubai, it's worth taking a look at what you can expect when you get there. In this realistic and engaging video you'll get a real feeling for life in Oman - a country where you can sample old and traditional Arabic ways shoulder to shoulder with modern life. It shows the tourist attractions in some detail, starting out at the capital Muscat / Mutrah on the coast and from there taking you approximately 250 km into Oman's interior. Here you'll see the mountain ranges of Hajar Ash Sharki (Eastern Stone Mountains) and Jabal Al Akhdar (Green Mountains). Take It Easy, It's A Long Drive From Dubai To Oman - But Not To Be Missed! Driving from the world’s most extravagant city of Dubai to Oman is a road trip that can be enjoyable if punctuated by a few stops along the way. 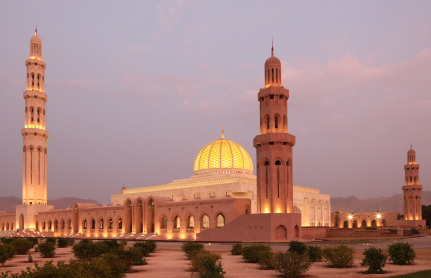 Most road journeys into Oman from Dubai end up in the city of Muscat. The inland region of Oman is pretty desolate and there is not much here but desert but take a road trip along the coast out of Dubai and into Oman and you will pass a lot more places well worthy of visiting. The total length of this journey is just about 10 miles shy of 400 and will take you in excess of six hours to complete, assuming you didn’t stop. I've done this drive myself - twice. There and back. And it's a mistake to do it that way, believe me. We got off a plane after the flight to Dubai, got the hire car, and started out straight away. Can you believe that? We both (my wife and I) nearly fell asleep multiple times on the journey. Such a journey definitely requires a few stop overs and sights to see and perhaps an overnight stay in a hotel or accommodation at the half way point at Suhar, Oman. Suhar is an Omani coastal city which overlooks the warm waters of the Gulf of Oman. But before you arrive here you should take time to stop off at a few of the towns and villages along the way. Of course you can cover the miles in a hire car, but another great way to get the most out of this type of trip is to hire an RV. If that sounds like fun - and it is - take a look at this article which gives some highly detailed and valuable RV travel tips. Dubai lies on the eastern facing coast of the United Arab Emirates and as you drive out of this big city you will find the Sharjah National Park, which is a huge park covering almost 650,000 square metres of land but is slightly off the track and too soon to break your journey. Your first aim should be to find the Sharjah-Kalba Road, which is a long highway taking you well out of Dubai and heads towards the UAE and Oman border. On this road you can decide to stay on this route and head for Hatta or alternatively branch off left and head down to the Fujairah on the Sheik Khalifa Bin Zayed Road. The Emirate of Fujairah is the fifth largest in the United Arab Emirates but only has a small population of around 150,000. Here you will see some wonderful mountains and a large farming community. The Emirate of Fujairah has plenty of rainfall, unlike other areas in the UAE, and this allows farmers to produce a wide variety of crops here. The best time of the year to travel around here is in October to April where the temperatures often average around 31c (88F) and that has to be more comfortable than the 40c (attH105F) plus temperatures you’ll experience in the summer months. 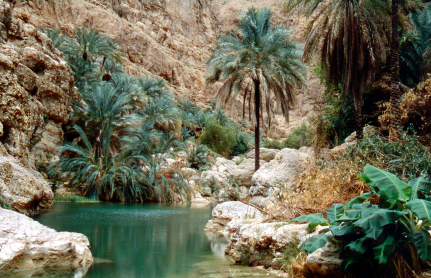 If you opt instead to travel to Hatta, close to the border with Oman, you will find many more mountains along the way. The sheikdom of Hatta is slap bang in the middle of the Hajjar Mountains where you will see reconstructed heritage villages and it's a popular place for residents of Dubai to escape the intense heat of their home city. Hatta is around 10c cooler than Dubai and yet is only about a 75-mile drive out of the city. To get to Hatta you will need to stay on the Sharjah-Kalba Road and not turn off down the Sheik Khalifa Bin Zayed Road to Fujairah. Coming out of Hatta you will need to get on the E44 highway which takes you over the border from the United Arab Emirates and into the Gulf state of Oman. This is the border you'll need to drive through if you're trying to work out how to get to Dubai by car as well. As you head towards the coast you will find your route takes you onto the Al Aqat to Hatta Road, eventually you will see the Gulf of Oman Sea and at this point you’ll move onto the coastal road known at the Batinah Highway. The Batinah Highway will take you passed Shinas where you can see many distinctive Arabic style buildings and a port where several dhows still operate in great numbers catching fish and exporting them across the Gulf States. You’ll notice many more mountains if you look away from the coast view on your left hand side; this is something you will see plenty of when you travel through the Gulf State of Oman. The Batinah Highway begins to resemble something of a service road after a while with plenty of trucks delivering goods to and from the Port of Sohar. Here you will see some major trading with exports and imports coming in and out by huge ships from all over the world. But far more interesting is to just carry on down this road and stop off at the City of Suhar, or Sohar. Here you are just about 125 miles short of your final destination of Muscat and this is a great place to spend a few hours. 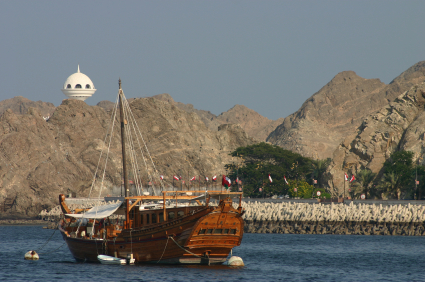 Sohar is where Sinbad the Sailor allegedly came from and has a population in excess of 140,000 people. It's the ancient capital of Oman and has a world class port, five top class universities, several huge shopping malls, fish markets, bullring centres, a Sultan’s Palace, handcraft markets and a landmark known as the Globe Roundabout. Moving beyond Sohar City you will get ever closer to Muscat and pass the small fishing town of Saham where you will see plenty of fish restaurants, a large fishing community and a well-served population of around 85,000 people. It is not as commercial as Sohar and has more of an ethnic village feel about it, despite its size. Continuing down the Batinah Highway, you will notice inland the huge Wadi Al Hawasnah and Wadi Bani Omar Dam. This may well be worth a picture or two and it would only take you off the Betinah Highway for about five miles. Once back on the coastal highway you will pass Barka where you may want to stop off and visit the two major resorts in this town of Al-Sawadi and the Al-Nahda. The Betinah Highway eventually turns into the Muscat Expressway which will take you right into the capital and the end of your journey. There are three quarters of a million people that live here and plenty to do by day and night here. Be sure to get a picture of the Muscat Gate and visit the opulent Muttrah Corniche and do not miss the elegant Zawawi Mosque in Al Khuwair at night, absolutely awesome! Flying for relatively short distances is a good - and often cost effective - way of getting from A to B in the quickest time possible. Of course you need to factor in time spent at the airport, but that's often a lot more comfortable than driving your own car. Taking a flight from Dubai to Oman is perfect if time is short. You'll miss the experience of driving and getting a feel for the country outside of Muscat, but if time allows you can always take some local trips from Muscat further and venture further a-field anyway. There are three main airline options for Dubai to Oman flights - Omanair, FlyDubai, and Etihad Airways. Oman Air is the national carrier for the Sultanate of Oman, and run a number of scheduled flights to and from Dubai with a flying time of just over an hour. Oman Air has grown to be highly respected for flight punctuality, great in flight service, and general professional attitude. flydubai is an airline which was formed with an intent to reduce the cost of air travel in the Emirates region. Very similar to the popular no frills airlines that sprang up over the last 10 years or so in India, the UK, and elsewhere - Flydubai offers a simple service with the lowest operating costs they can deliver. This means you need to choose (and pay additional fees for) those 'extras' which you feel you really need. In-flight meals and baggage allowances are examples. The aircraft fleet is a new one, with Boeing 737 planes all built with latest entertainment technology. You will need to pay extra for the entertainment though, with prices varying dependent on what you actually choose. Films, music, and games are all available. Cruisecompete.com is a website that compares different cruises from Dubai to Oman on offer from major cruise lines, often a great way of seeing multiple deals in one place and searching for the best offers. Expedia.com is a well known travel booking website which has a section covering cruises in the Emirates. These extend to cover last minute and book in advance cruise deals starting from Dubai which include destinations in Oman. Travelweekly.com is a travel industry newspaper which covers a selection of emirates region cruises. This video on Cruise Brilliance Of The Seas will give you some great images of what you can expect on a Dubai to Oman cruise trip.